Kenn Export is an official distributor for a number of companies and have been serving them for a long time. Kenn Export has been providing high quality electrical sockets and high precision custom made power components from McGeoch Technology. McGeoch is a proven supplier to the British Royal Navy’s Type 45 Destroyer, Astute Submarine and Queen Elizabeth (QE) Class Aircraft Carrier Projects and continues to build its reputation for quality, reliability and value-for-money total service in a wealth of future navy projects. In rail and hazardous area lighting and in LED universal applications too, McGeoch today is at the very forefront of design, engineering technology and supply, brightening up the way rail travellers travel and safely and efficiently lighting harsh and hazardous areas.McGeoch specialises in the design, engineering, manufacture, project management and installation of electrical and electronic equipment for marine vessels and submarines including specialist lights, lighting and switchgear. Kenn Export has been providing high quality electrical sockets and high precision custom made power components. Eastern Transformers and Equipment was formed in 1984. 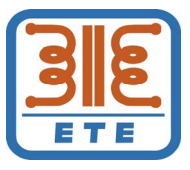 Since it’s establishment ETE has become a leading manufacturer of transformers and wound components for the UK’s control panel builders, machine builders and automation and control system specialists. ETE has developed a comprehensive approach to its markets with modern production facilities to cope with low and high volume requirements. ETE is ISO 9001:2000 approved to ‘The Design, Manufacture and Supply of Transformers, Inductors, Wound Components and Electrical Power Equipment’. Kenn Export Limited has been given the status of genuine supplier of Bosch Rexroth products and services. This has been an effort of our continual sale of genuine Bosch Rexroth parts over the number of years. We are happy to announce that our prices for Bosch Rexroth will remain competitive than other suppliers because of the terms of sale from Bosch Rexroth to us. We hope you would use this opportunity and come to us for Bosch Rexroth parts.